1984 Salsa Cycles #52 "Moto SL"
Post subject: 1984 Salsa Cycles #52 "Moto SL"
Always been a fan of Ross Shafer and his Salsas - and when I got the chance to actually own one of the earlier I didn't need to hesitate at all. The hunting for parts is all fun, but this time that will never happen. I'll leave it as is - a mix of new and old. As Ross' spec sheet says - it was made for "Rich Guy", and he wanted a light one with the all new Suntour group. 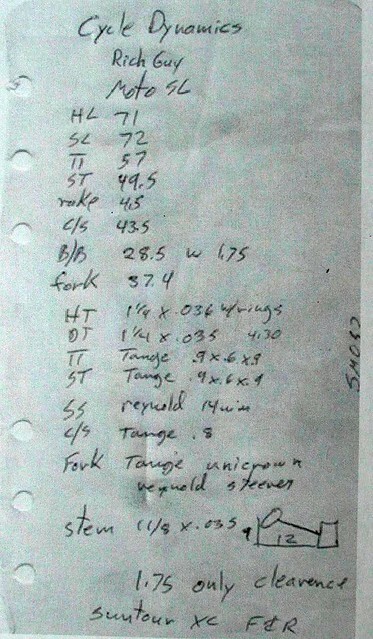 The fork is a very early unicrown and it has road wheels - Wolber rims rolled down by Keith Bontrager. 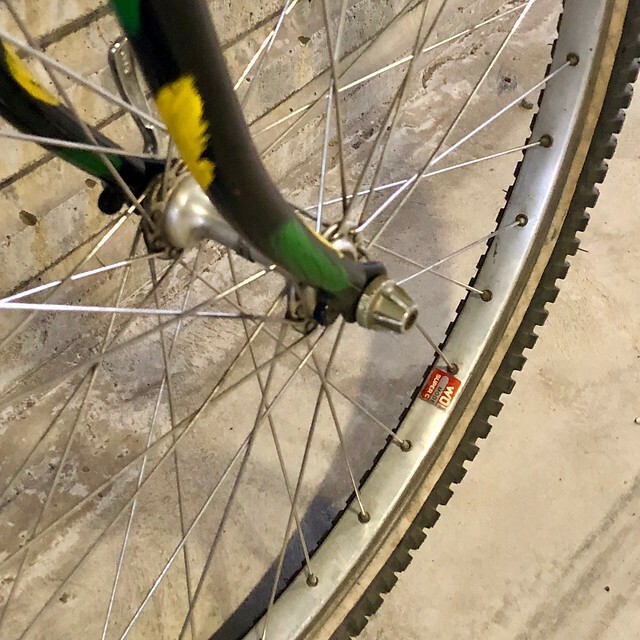 So this bike actually has a cassette, not at free hub. Original paint was pooftaflage. Frame and fork is all fillet brazed. Salsa Pro Moto SL stem, Salsa handlebars. This was a lightweight in it's time. Weight is around 26 lbs. Still feels quick though, stable and ok on the technical parts. If I only could have one bike, this would be a good candidate. 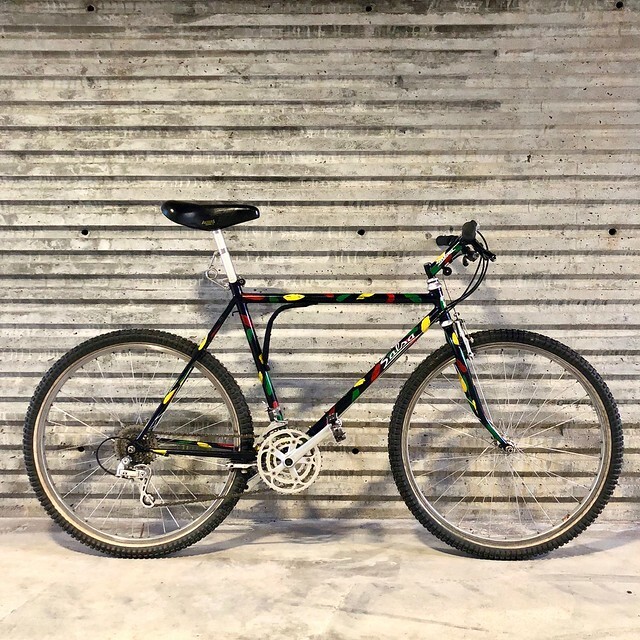 Brought back to Salsa for a repair in 1991 and repainted in a dark blue color with jellybeans. Not sure what was done to it, but the head tube have gussets like a Mountain Goat. 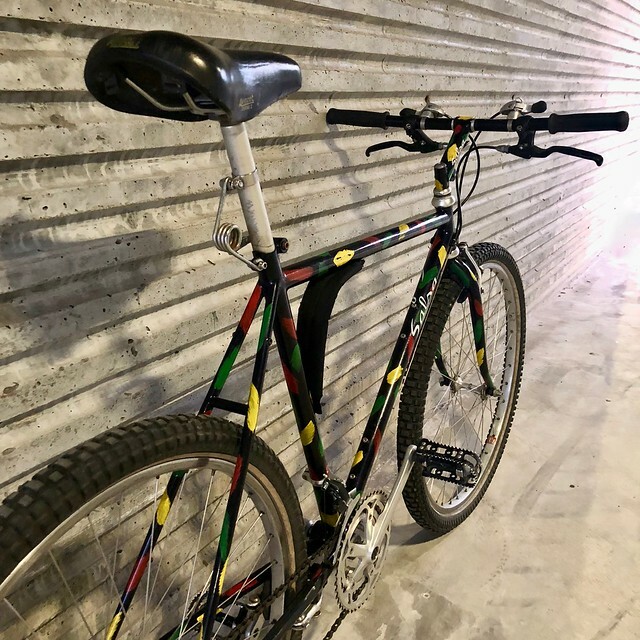 My guess is that the head tube was replaced and that the guys at Salsa replaced it with a MG one just for fun. Guess the brakes were replaced around then as well - now it have WTB roller cams. Brakes phenomenal. Yet another amazing bike Where do you find them all ? 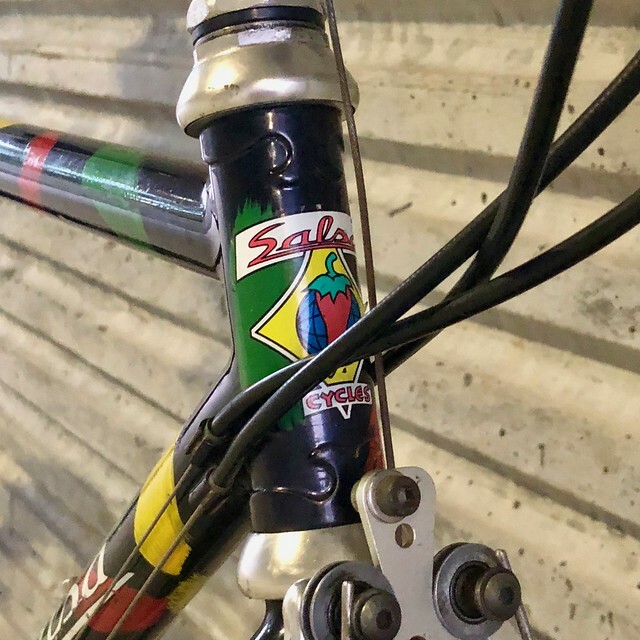 Post subject: Re: 1984 Salsa Cycles #52 "Moto SL"
Yup, she's a beauty, I'm guessing they are all from Mombat? Pooftaflage would have been cool but I really like the dark blue with jelly beans too. Bought it from a guy in California before the Mombat sales started. I must admit that I've bought one of two from Mombat as well. No Salsa, though. 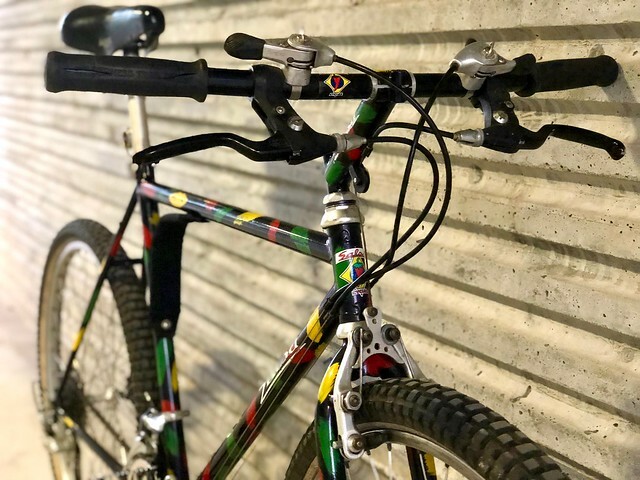 Any idea what year these handlebars were introduced?